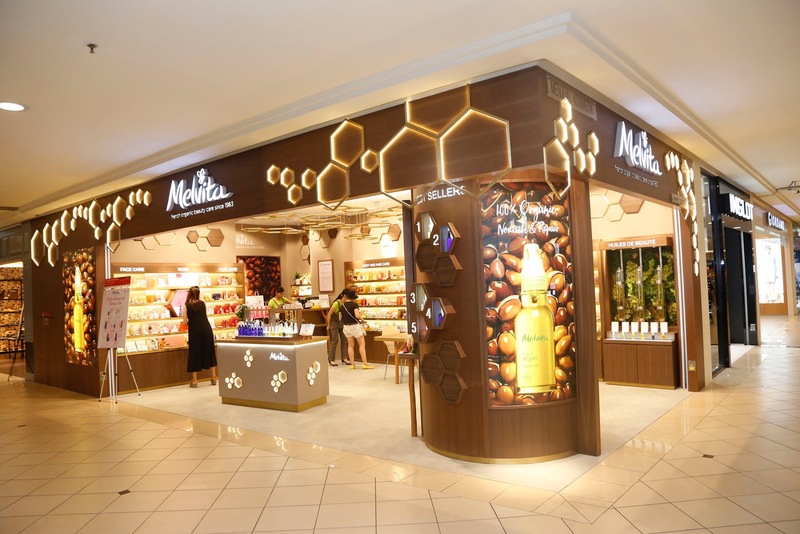 Inspired by Melvita's heritage and bees, you can see the elements come true in the new location in Mid Valley, recently moved from Ground Floor to First Floor and was given a total facelift - which they go back to the roots of the brand, more specifically the origin of its name, Melvita, meaning Honey and Life, its new concept is inspired by the bees and beehive. 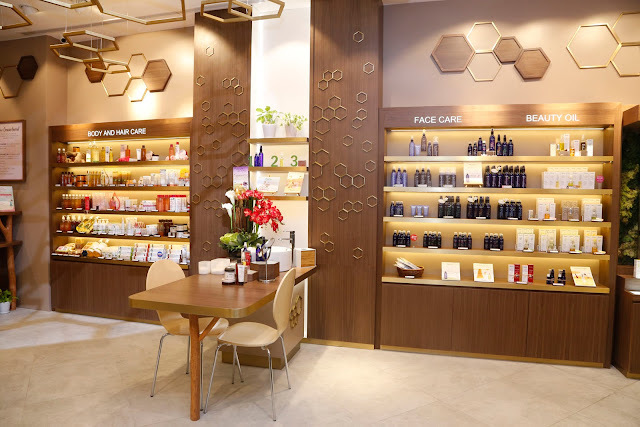 At 504sq ft, the new store floor provides an open and inviting space that creates a natural ambience and improved shopping experience to the customers. 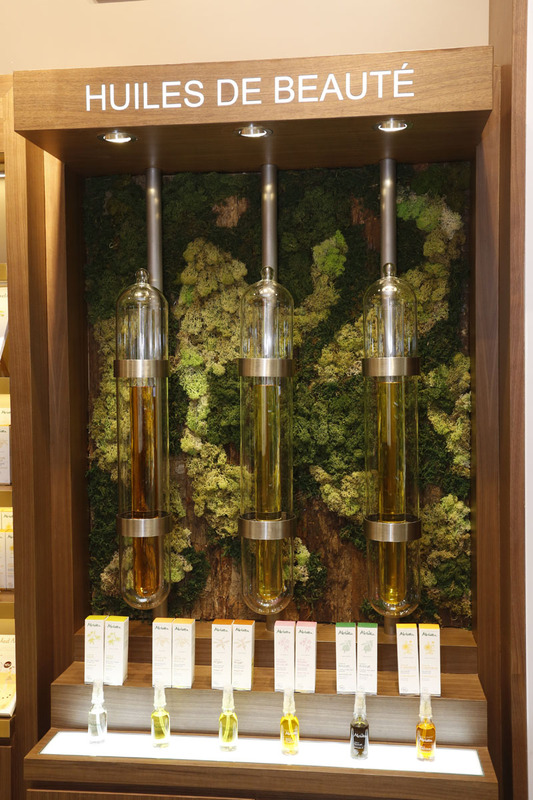 The elements used in this new store are those typically found in nature: real tree trunks; preserved moss and bark forming beautiful green walls, leading the customers to discover the brand’s remarkable organic and natural beauty identity. Choices of materials are also carefully selected by Melvita such as low VCO paints and finishes, and low energy LED lighting that could provide a long- lasting and ecological solution whilst maintaining a high-end lighting result. Both materials and finishes beautifully convey the authenticity and particularities of the homeland of the brand: Ardèche. Two iconic ranges are definitely the organic Beauty Oil and organic Floral Water. That’s why a Beauty Oil Bar with 3 giant oil tanks are set up in store to let the customers to explore Melvita’s large collection of organic plant oil. Also can be seen is the unique Rose display unit; its background is different from the standard display unit and the products are highlighted in a lighted central hexagon. 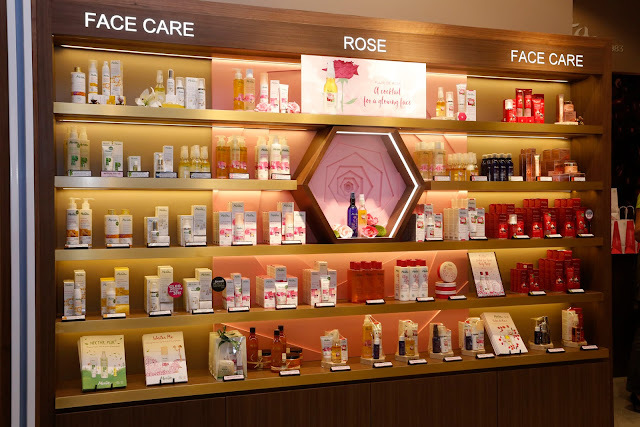 Mid valley new concept store also offers other beauty and skincare products for women as well as men (woohoo!!! MEN! Yes! FINALLY!) with a wide selection that includes face care, body care, hair care and even hygiene products, among others. Product formulations are proudly organic and the ingredients are hail from organic farms and other sources that practice a true respect for nature. Most product collections are certified by ECOCERT France, and fulfil the standards of COSMEBIO France (Professional Association for Ecological and Organic Cosmetics). 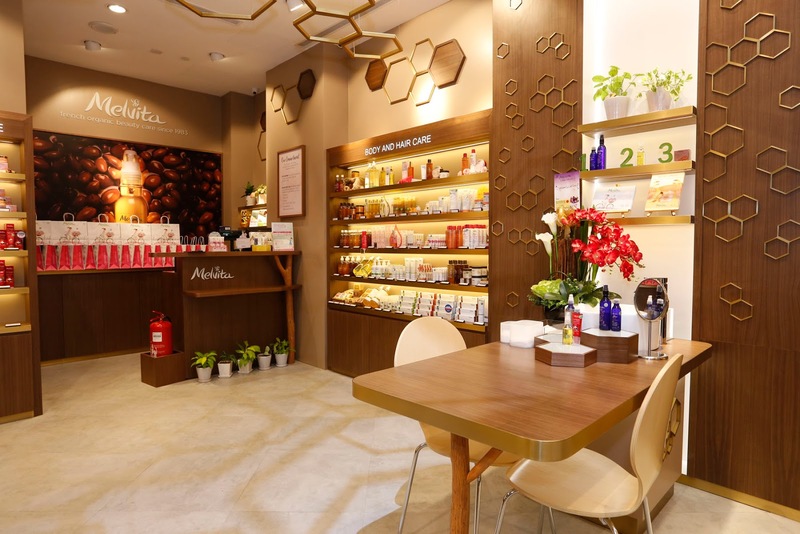 To decide which products are right for you, step into the consultation table and get seated comfortably where Melvita beauty consultants will gladly advise you on the products’ suitability and offer customized beauty tips. While waiting for friends in store, you could also take a look at the brand’s philosophy and commitments which are displayed behind the cashier. Leading French organic skincare brand Melvita was founded in 1983 (I have special attachment to this special numbers) by French biologist and beekeeper, Bernard Chevilliat. Besides being one of the pioneers in the world to gain the French ECOCERT and BIO certificates for organic products, it has been leading the world in setting trends of organic beauty care, with its unique formulas developed using more than 900 types of quality natural organic ingredients. It is known to be the organic beauty care brand with the largest range of organically certified product series in the world. 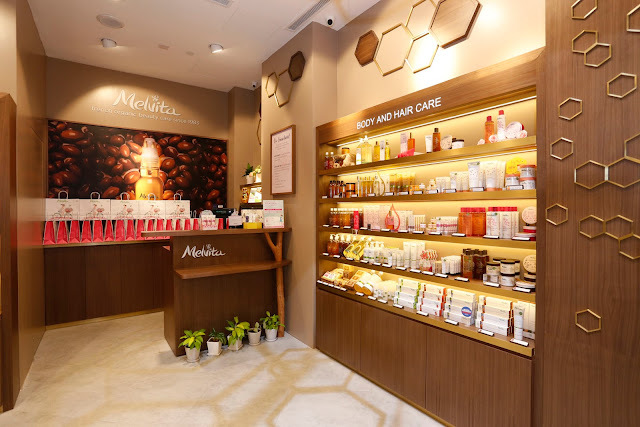 Melvita’s organic products include skincare, hair care, body care, and beehive products. Its 3 signature products include Floral Waters, Plant Oils and Honey series. 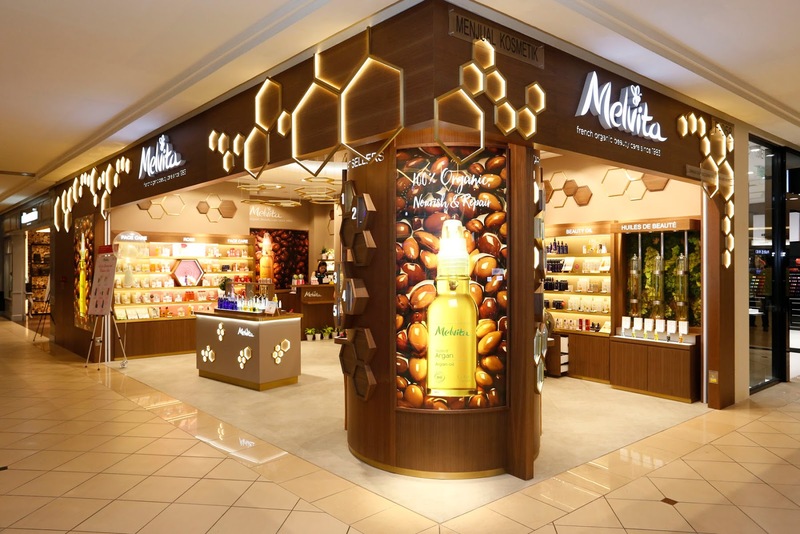 All Melvita’s products are certified by ECOCERT France, and fulfill the standards of COSMEBIO France (Professional Association for Ecological and Organic Cosmetics). NO paraffin, silicone, PEG (polyethylene glycol) or PPG (polypropylene glycol), ethoxylated products, parabens or phenoxyethanol, formaldehyde or chlorine derivatives, synthetic fragrances or colourings. Protesting against any tests on animals. Using recyclable packaging to the best we can. ECOCERT is an organic certification organization founded in France in 1991. Its Ecological and Organic Charter is considered as the standards of the organic industry. Its certification standards are extremely stringent, completely prohibiting disputable ingredients and most synthetic preservatives in products. Detailed analysis is also carried out. This is to ensure the ingredients, place of origins, production methods; refining methods, quality preservation and other aspects fulfil relevant eco-friendly organic standards before being approved for certification. BIO is the certification dedicated to beauty care products, to certify there is at least 95% of the total ingredients are from natural origin, and at least 95% of the total plant-based ingredients are organic, while at least 10% of the total ingredients are from organic farming. *Generally, beauty care products contain 50% – 80% water. Water cannot be listed as certified-organic ingredients. 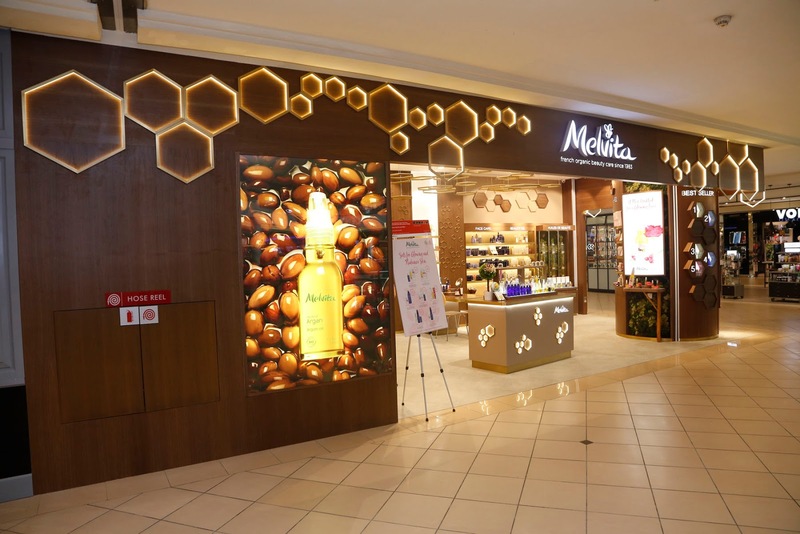 If you are at Mid Valley, do visit Melvita and explore the new concept and play a part in protecting the environment today! Address/Location: F-058 First Floor, Lingkaran Syed Putra, Mid Valley City.